You are the new manager of a factory that needs a new plan! 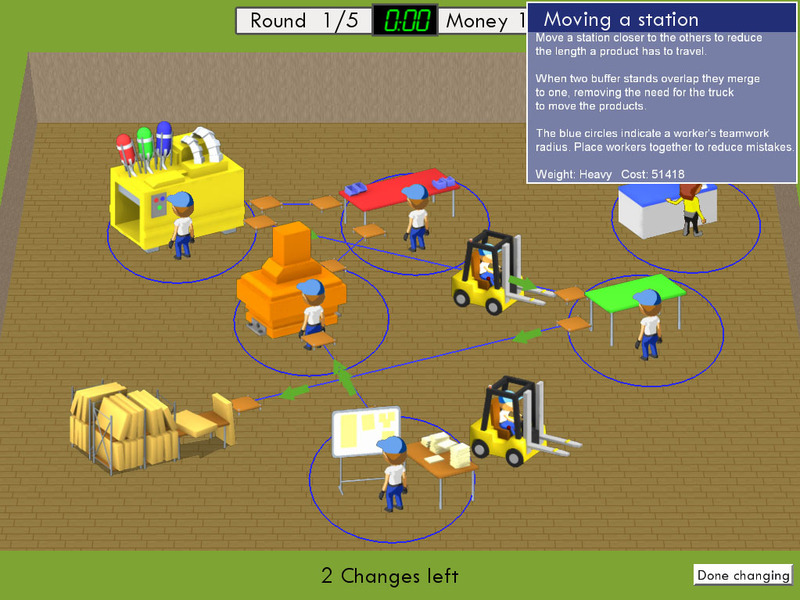 Organize and shape up the factory to make it lean and mean, and above all, profitable! Lean turns many conventions on it’s head. 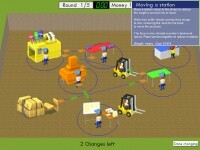 It is the new leading way to manage a company or run a factory. It is based on the immensely successful Toyota Production System. Make no mistake, this is a game. 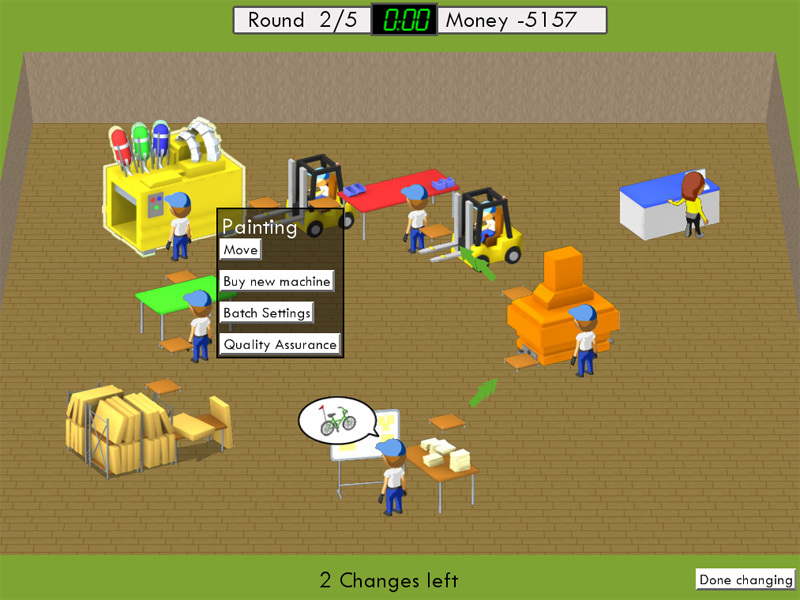 But it will introduce menu new concepts to the player, and it has a vast library of information about Lean. 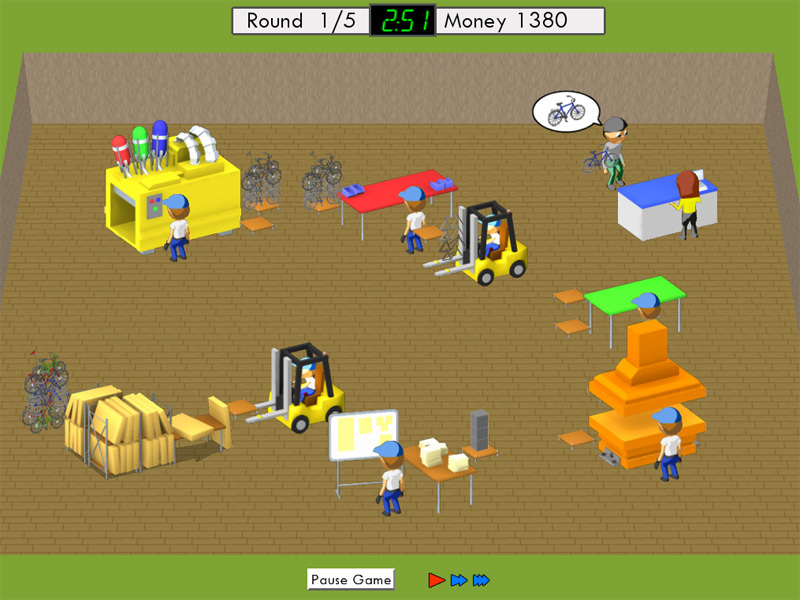 After playing this game, your employees will come out more conscious about wastes, and they will bring this new knowledge to work. The Lean Bicycle Factory game was a collaboration project cordinated by Gothia Science Park Project Arena and the participating companys/organisations were University of Skövde, Skaraborgs Sjukhus, IDC West Sweden AB, AB Volvo (gm Volvo Technology and Volvo Techwatch and Business Innovation), Innovatum, Grönlunds Plåt and Ludosity Interactive.